Happy Mother's Day Mom! I Hope You LOVE Your Gifts! Can You Guess What I Got Mom for Mother's Day? My mom is very special to me, but it was only when I became a mother myself that I could truly appreciate all her sacrifices and hard work. My mom married at 17-years old, and had my brother when she was just 18-years old. As a result, she never finished her high school education. I was born 4 years later when she was only 22-years old. My mom was a homemaker up until the time I started school at age 6-years old, and then she entered the workforce as a dental receptionist. Mom really enjoyed working in the dental office, but yearned to attain more. With great thought, she went back to school to train as a dental assistant. She was successful, but again yearned to attain more. Once again with great thought, she went back to school to train as a dental hygienist. Again she was very successful! Decades later, and my mom still loves her job. She is now close to her retirement years, but plans to keep on working. It fulfils her. My mother and father recently celebrated 45 years of marriage. I'm very proud of my mom and all that she has accomplished with great determination. Happy Mother's Day, Mom! 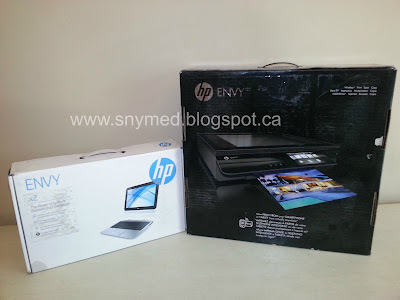 Mom, I Got You an HP Envy x2 Laptop & HP Envy 120 e-All-in-One Printer! 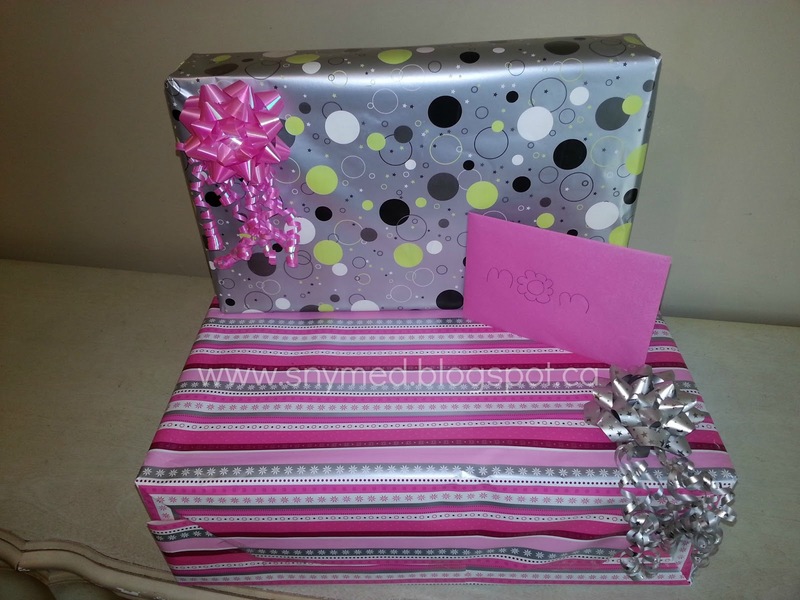 It is because I am so proud of my mom, that I wanted to give her a really special present this year for Mother's Day. 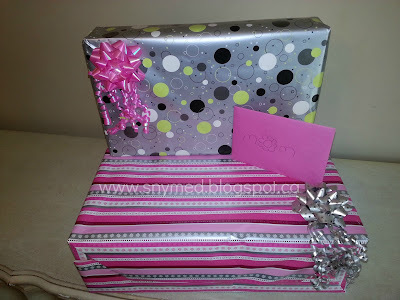 I thought I would go big this year, and give a great gift to a mom who asks for nothing. My mom's computer was on its last legs, and it was really ancient. It would not be a big stretch to say that it was one of the original computers, with only kilobytes of total memory and a floppy disk drive--not even diskette! 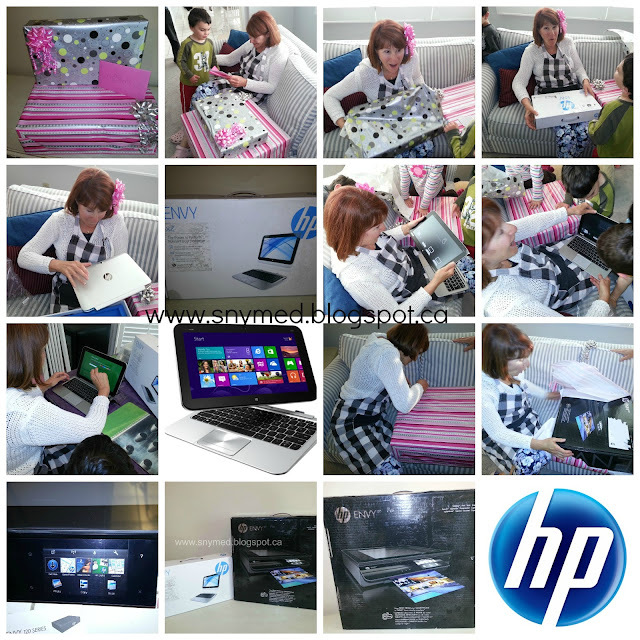 Mom Unwrapping the HP Envy x2 Laptop! The HP Envy x2 Undocks & Becomes a Stand-Alone Tablet! Wait Mom, There's More! A HP Envy 120 e-All-in-One Wireless Printer! This year we had an intimate brunch at my mom's house for Mother's Day, and I gave my mom an HP Envy x2 laptop tablet as her present! To say that she was surprised, is a gross understatement! It weighs in at only 3.1 lbs, about the weight of a kitten, and acts either as a laptop, or undocks to become a stand-alone tablet. It offers touchscreen and keyboard functionality, a Windows 8 interface, up to 64GB eMMC SSD hard drive, 1.80 GHz dual core Intel Atom processor, and Beats Audio dual speakers...just to name a few features. It's really cool, and just as its name, gives me serious "Envy". 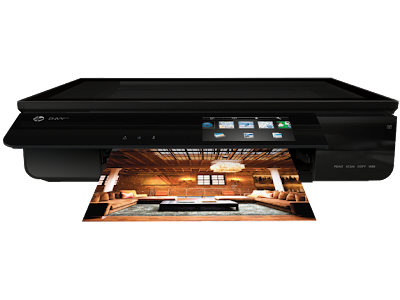 Look Mom, Print Wirelessly From Your Smartphone & Tablet! Imagine her surprise when I presented her with another gift to unwrap: the HP Envy 120 e-All-in-One wireless printer! It can print, copy and scan, but it's "secret power" is that it's wireless, and can print from my mom's smartphone or brand new tablet! I was kind of floored when I noticed that the printer was touchscreen enabled too. 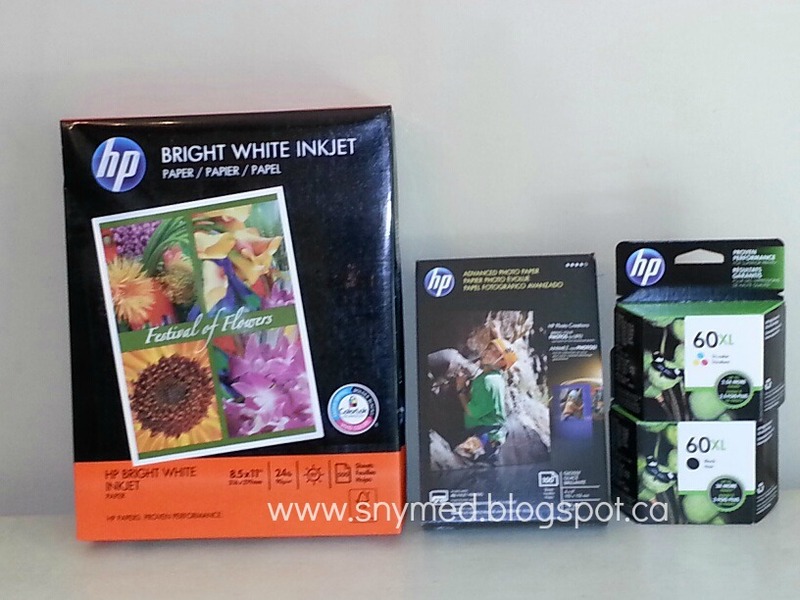 The wireless printer came with both HP brand black and colour cartridges, which made it easy for mom to get started. 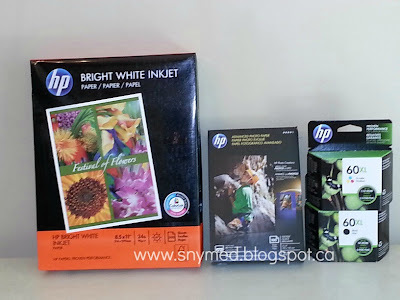 To get mom ready to print on her new all-in-one printer, I stocked mom up with HP accessories such as: HP Bright White Inkjet paper, HP Advanced Photo Paper (to print out important photographs), and an additional two HP 60 XL brand black and coloured cartridges. These cartridges print up to 2.5 times more pages than a standard cartridge, and are reviewed very well online, wherever I checked. My mom was a "little" overwhelmed this Mother's Day weekend, so I'm going to let her get settled in and acquainted with her new HP goodies! I'll update again soon letting you know how she's enjoying her great new items, and what she's been using it for. My Mom Had a GREAT Mother's Day! How are you celebrating Mother's Day this year? Could you or your mom benefit from a brand new computer? Oh wow!! What a wonderful gift to give your mom Jenna, and sounds like she truly deserved it!! So happy she loves them and can't wait to hear an update about what she thinks of them :) You're such a thoughtful daughter and she's just as lucky to have you, as you are to have her :) Happy Mother's Day to you as well Jenna!! Hope you enjoy it with your beautiful kids!! Thanks so much, Brandi! I hope you have a great Mother's Day! WOW!!! 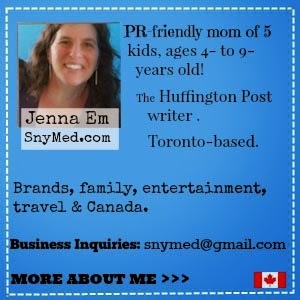 What an amazing Mother's Day gift, Jenna! I actually have my eye on the Envy too! I'm sorry about your grandma's passing, Christine! I hope that your mom still enjoys her trip to the Philippines. The look on your moms face says it all Jenna! Awesome! Lettie, my mom was SO surprised! Even more, I think she was shocked and it took a while to set in! Thanks Ray! I'm delighted to be able to give a great gift to a great mom! Oh I bet she will have lots of fun looking at and sharing pics of her grandkids on her new computer! Love the look on your moms face as she is opening the give too! Little Miss Kate, I was happy to be able to do something special for my mom. She really was delighted. Thanks Julie! It was priceless to see her reaction! Happy Mother's Day! Torviewtoronto, my mom was so excited! I was glad to have captured her reaction! Happy Mother's Day! WOW, that would be amazing. I think both my mom and I would desperately need and use well a new laptop and printer. Cool! Brooke, the HP Envy is worth checking out for you and your mom. I also use an HP Envy (TouchSmart Ultrabook 4) and it serves me well. WOOOOOW. I want one! And look at the look on her face! ;) What a great gift to give. wow! What a awesome gift! wow, what an awesome gift!!! I'm sure your mother was in awe..all mother's deserve the best!! !